The European coatings industry and its raw material suppliers are preparing the ground for a fight-back against European Union and national regulators on proposed safety restrictions on titanium dioxide and certain biocides. The industry claims that the TiO2 challenge would have a major impact on the whole industry while stricter controls on biocides would raise doubts about the future of waterborne coatings as an alternative to solvent-based coatings. The Risk Assessment Committee – a key expert group within the European Chemicals Agency (ECHA), which administers the EU’s REACH legislation on controls of chemicals and the Union’s Classification, Labelling and Packaging (CLP) regulation—has classified TiO2 as a suspected carcinogen because of the dangers of inhaling the pigment’s dusts. All coatings and other products containing TiO2 will have to carry a hazard warning sign under the CLP rules. 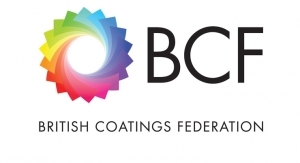 “It would be totally disproportionate and also misleading for paint and ink products to have a ‘suspected of causing cancer’ label,” said Tom Bowtell, chief executive of the British Coatings Federation (BCF). The RAC’s recommendation is likely to be endorsed by ECHA this autumn after which a final decision on the CLP classification will be taken, probably in mid-2018, by the European Commission, the EU’s Brussels-based executive, with the help of its own REACH advisory committee. This gives the industry, TiO2 producers and other sectors time to mount an offensive aimed at persuading the Commission to reverse the decision or at least attach caveats to soften the impact of the classification. ECHA, which is responsible as well for administering the EU’s new Biocidal Products Regulation (BPR), has also been putting safety curbs on biocides used in waterborne coatings. Formaldehyde releasers have been banned in coatings because formaldehyde has been given the CLP classification of being a presumed carcinogen while the limits on the amounts of methylisothiazolinone (MIT) that can be applied are too low to make the substance effective. 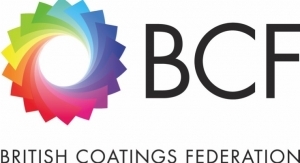 “Once formaldehyde and MIT have been ruled out there are few options left for producers looking for efficient preservatives in waterborne coatings, particularly for in-can coatings,” said Janice Robinson, product regulations director, at the European Council of the Paint, Printing Ink and Artists’ Colours Industry (CEPE). In alliance with other sectors, the coatings industry is urging ECHA to take a broader approach on biocides so that their risks they are not assessed in isolation but instead on the basis of how they improve safety as whole. 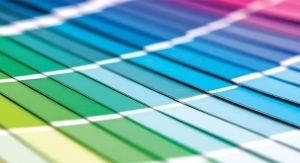 In Germany this call for a wider scope is not only being supported by the Germany’s Paint Industry Association (VdL) but also the trade organisations representing the construction industry and adhesives producers. “The regulators need to take a holistic perspective so that they can considered the overall picture in safety and environmental protection,” said Robinson. Both producers and end-users are warning that without effective biocides, conditions like skin sensitisation will not be properly prevented while a move back to solvents would be a major setback. In the battle to protect TiO2, producers of the pigment had some regulatory success earlier this year. They blocked a move by ECHA to require TiO2 manufacturers to provide details on the cristal phases and/or nanoforms of their products when initially registering them with the agency under the REACH rules. ECHA claimed that details of the cristal phases and nanoforms are needed in order for the toxicological and ecotoxicological hazards to be assessed. However, a group of leading TiO2 producers lead by Huntsman Corp., Cristal, Kronos, Chemours and Tronos had their opposition to the instruction supported by the agency’s appeal board which ruled that the information requirement was not laid down in the REACH regulation. On the other hand there a growing trend in Europe for individual countries to introduce their own regulations on substances with nano particles. 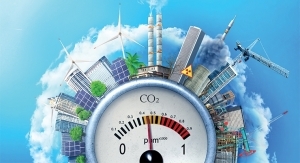 France, Belgium and Denmark as well as Norway which is a non-EU state have introduced regulations requiring registration of TiO2 and other chemicals with details of particle sizes. Also, the RAC’s decision was not a complete defeat for the TiO2 producers and coatings and other end-user companies. France’s Agency for Food, Environmental and Occupational Health & Safety (ANSES), which submitted the case for a cancer warning to the committee, wanted the pigment to be given a 1b category warning of presumed to be carcinogenic. But the committee concluded that there was insufficient evidence to back the French claim. The evidence presented by ANSES was based on two studies over 20 years ago of rats exposed to TiO2 dust which resulted in the animals developing internal tumors. One involved a overload dosage of inhaled dust of up to 250 milligrams per cubic meter. The RAC’s aim was only to determine to what extent TiO2 dust was a hazard. Despits its name, the committee’s remit on CLP matters is to focus entirely on hazard and not the risks or likelihood of exposure. There is a lot of scepticism in the coatings and TiO2 sectors about the excessive amounts of dust overload in the studies and about the transferability of information on animal tests to human health. It would be unusual for the Commission and its REACH committee to reject an RAC scientific opinion. But the coatings industry will be pressing the Commission and the committee to look more widely at the issue, including taking into account the social and economic effects of TiO2 being labeled unsafe. It will also be urging caveats to be attached to the classification which would confine its application to workplaces where TiO2, coatings or other end-use products are made. Another aspect which could work in the industry’s favor is that the investigation of TiO2 shows that as a chemical it does not have substance-specific adverse effects. Like other chemicals with similar properties it tends to form insoluble dusts. Once TiO2 is labeled as a suspected carcinogen because of its dust , other similar substances such a calcium carbonate, silica and carbon black would be threatened with the same classification. The Commission will be anxious to avoid the sort of restrictions being proposed for TiO2 being extended to cover other widely used substances. Not surprisingly it is reported to have asked an expert advisory group on chemicals control to investigate the whole issue of insoluble dusts.